As soon as your little baby enters his toddler, it is time for birthday invites to start knocking the doors!!!! As a parent, training your child in etiquettes is a part of thousand other things you teach your little one. To make sure that your toddler is ready to attend a birthday party, you must focus on teaching him the Indian etiquettes and customs which obviously don’t come to him naturally. But while your baby is having all the fun, as a mother, you can follow these social Indian etiquettes that promise to save you from unexpected embarrassments. In this post, we have come up a list of few very important Indian etiquettes that every mom should follow while attending birthday parties of little ones. Birthday Planning is no rocket science, provided you have a clarity about what you want to do. 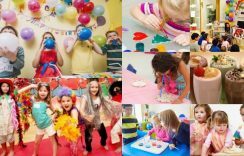 Look for Easy Birthday Party Ideas for Indian Kids to keep it an exclusive surprise for little guests. Unique Summer Birthday Party ideas for 1 year old Boy and Girl help you plan birthday around the season. 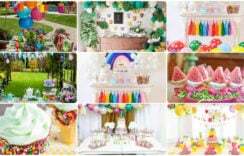 Find out the best Food Ideas for Kids Birthday Parties at Home to have an easy to cook and delicious to taste menu which your guests enjoy. There is no harm if you are carrying some baby food your little one. This would help you feed your baby on time and if the menu doesn’t have anything good to feed your baby. Carrying some food along will be a big saviour in case there is some delay in food service. You will not need to deal with a hungry and cranky baby as you have his meal ready in your bag. 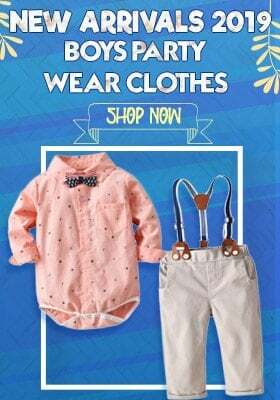 It’s a special occasion and you would definitely want to dress your little baby boy or girl in something exclusive. Make sure that the dress you pick is simple and not very loud. Because this will not only make your baby uncomfortable but he or she will stand out in the crowd in not a nice way. Keep it simple and you will never go wrong. Whatever things you think can be needed by your baby during the party, you must put them all in a bag and carry it along. There could be a spare set of clothes and nappies, bibs, wet wipes etc. to attend to any emergency without letting your child look messy. To make sure that your baby looks fresh and nice, you must dress him just before you have to leave for the party. This would keep the clothes clean. And you can also make him wear a fresh diaper so that you don’t have to deal with hassles of changing his diaper. Always keep the hanky ready. You can either have it pinned on your baby’s dress or in quick to access pocket of the bag that you will be carrying. 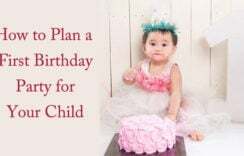 If you are going to a birthday party of someone close, you can always call and find out what is on the menu so that you can accordingly take your baby’s meal along. Don’t simply keep observing if you see your child hitting some other kid or snatching his toy from him. As a good mother, you must always react to such things and immediately make your baby understand the wrong thing he did. Always teach your kid to greet people around him. It can be a Hello, Good Afternoon, Good Evening or Namaste to uncles and aunts. A Hello and handshake to children of his age is equally important. In Indian culture, we give extreme importance of greeting everyone around us and you must teach and encourage your little one to do the same. Going to a birthday and not wishing the birthday boy or girl doesn’t seem right. So, before going to the party, tell your child that he must wish the birthday kid because that kid is the host and it is very important to wish him. Kids have the habit of sitting on sofas and couches without removing their shoes which is not considered nice by Indians. Therefore, ask them to put off their shoes if they wish to keep their feet on the seating. These are some of the Indian etiquettes which must be followed while attending a birthday party. Well, by far you were reading about etiquettes you have to follow as guest but we bring to you some customs you must follow as a host.